Silver Creek homes in northwest Las Vegas real estate by Lennar has the Everything’s Included gold package amenities. The Silver Creek interior luxury level amenities include granite countertops, maple cabinetry, stainless steel appliances and upgraded flooring in the Everythings’ Included by Lennar. 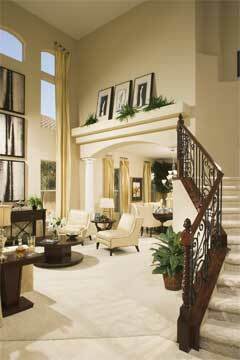 A professional new home in Las Vegas, Nevada design team has coordinated the color schemes. These gated community of homes includes five different two story homes from 4,401 to 4,933 square feet. The floor plans include Coronado, Morro Bay, Palisades, Turtle Bay and Thousand Oaks, within 20 new homes. The new models contain up to five bedrooms, 4 1/2 baths and four-car garages.